Trevor delivering a Casualty to WRAS's Casualty Centre. 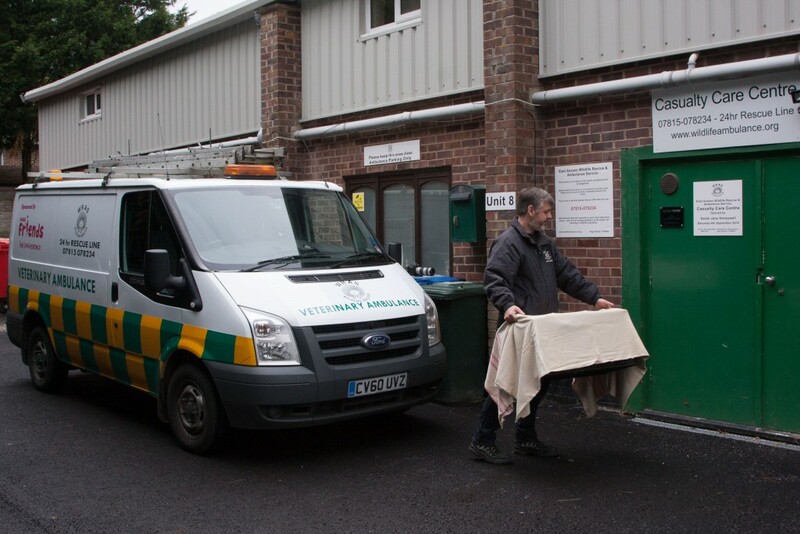 For all rescue and wildlife advice please contact WRAS's duty co-ordinator on 07815 078 234 (24hrs for emergency calls or 10am-7pm for non-emergency calls and advice). Please leave a message on the answer phone and we will attempt to return urgent calls within 15 minutes, during busy times this is not always possible. Please listen carefully to the message on the answer phone and follow any instructions given. How do I find out about a Casualty you collected? Please call the Casualty Centre on 01825-873003 and leave a message. Please be aware that we are not always able to check straight away as we may be busy helping casualties, and could during busy times take a week or more depending on the availability of volunteers. Please be aware we are not a big charity and don’t have a call centre, so have to answer calls between dealing with casualties. Please quote the reference number on the leaflet you were given. Can I do a Work Placement at WRAS? Yes - Please go to our Workplacement page for more information and fill in the form there. How can I set up a Monthly Standing Order with WRAS? All the details about how to donate and how to set up a standing order are on our website. Please click on donate or standing order to visit those pages to find out more. Im interested in Volunteering how can I find out more? Click here to visit our volunteering page to find out where we are, the roles available and how to apply to volunteer. Sales / Volunteering: Chris on 01825873003 Click HERE for more information. To Book a Talk: 01825-873003 (Please do not e-mail) Click HERE for more information.